B2B technology is changing. And that means the ways resellers work need to change too. To survive in this complex, solution-led ‘new world’, resellers can no longer think in terms of shifting boxes – instead, they need to become service providers. In this competitive economy speed and simplicity are key. SMEs, and even the SOHO market, are seeking a new style of IT that is affordable, simple to deploy and easy to maintain. SOHO leaders are finding it particularly important to transform their IT environments to achieve greater efficiency and accelerate time-to-value. By investing in the latest small business IT solutions these up-and-coming organisations can execute complex workloads, ensure customer satisfaction, harness the superior computer capacity of the latest technological innovations and position themselves to become leaders in their industries. As the IT solutions being demanded by SMEs become more advanced, the need for resellers to deliver tailored solutions that meet the individual requirements of their customers is being driven ever faster. This means being able to discuss and deliver the following key areas, supported by Westcoast and the leading relationship it has with Hewlett Packard Enterprise (HPE). Hybrid IT combines the right mix of traditional IT, private cloud and public cloud to meet business and IT goals so organisations can integrate new technologies where needed and maintain legacy systems as appropriate. Mobility and security must go hand-in-hand; you cannot truly have one without the other and both are vital components in the modern economy. Mobility has transformed the way we live and work and HPE is at the forefront of the technology that is making this revolution possible. HPE simplifies mobility modernisation with an end-to-end portfolio of mobility software, infrastructure and unified communications. In order to thrive in today’s IT world resellers need to address issues that arise quickly and effectively. You need to foresee customer needs and offer a scalability of service that grows as they do. You need to ensure that you can offer your clients the solution they need rather than just the one they think they can afford. From extended warranty and support contracts, to scalable technology, to innovative financial solutions that enable them to plan and build for the future, Westcoast and HPE can help. 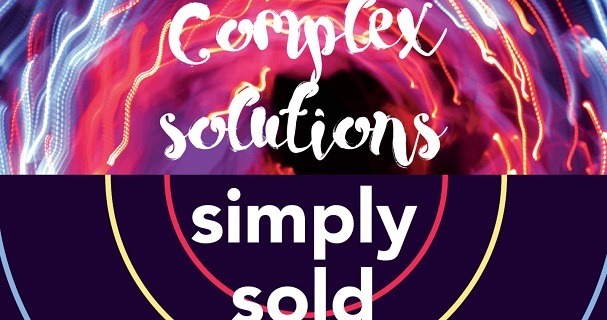 Selling services can be a complicated business – and it’s definitely one that involves building an extensive knowledge of the solutions available. Writing in a Westcoast blog post (there are lots of handy posts at www.westcoastltd.blogspot.co.uk) Lee Prior, marketing manager at the distributor, said: “‘I know enough about technology to know that I don’t know enough!’ That’s what I often hear myself saying when faced with a technical question that exposes the limit of my knowledge. It’s a flippant comment that, most times, will buy me the breathing space I need to look up the subject matter and return with a full answer a little while later. That’s fine for me – I’m in marketing, but a salesperson faced with a call or presentation where they are expected to have all the information to hand in order to secure the deal doesn’t always have that luxury. That training session prompted Lee and the team at Westcoast to demystify the logic behind the technology in a way that could empower salespeople. The result is a trio of excellent whiteboard-style training videos which highlight the selling points for hybrid IT, mobility and security and services and support. Each is around 10-minutes long and will leave even those who, ‘don’t know enough’ with a solid foundation of understanding. To view the videos either head along to the Westcoast blog or the Westcoast YouTube channel. As touched on earlier, speed, simplicity and performance are crucial to creating an effective IT strategy. SMEs rely on technologies that deliver essential availability and scalability to accommodate evolving business needs and, with a variety of branch offices and remote locations operating with limited spending and resources, choosing right-sized IT solutions has never been more important. SOHOs need a powerful server they can make their own – and HPE is stepping up to help with its Gen10 servers. The HPE ProLiant MicroServer Gen10 delivers an affordable, compact, entry-level server that is expressly designed for small office and home office IT environments. The HPE MicroServer can be housed almost anywhere and, with simple access to hard drives, memory and PCIe slots, users will reap the benefits of easy IT management, installation and upgrades. This game-changing system is low-cost IT made easy. To keep pace with rising industry demands SOHOs need intelligent, easy-to-use computer appliances which require minimal floorspace and drive down total cost of ownership (TCO). With features such as accelerated processing units (APUs) – designed to act as both CPU and graphics’ accelerator on a single chip – the HPE MicroServer promises to deliver 4K resolution video display for greater flexibility plus support for increasingly sophisticated workloads without installing an additional graphics card. In Q3 2017 users can also implement an optional AMD Radeon Pro WX 2100 PCIe graphics card which enables media streaming on up to three devices. In addition to providing optimal computer power this platform allows SOHOs to build a custom solution that is tailored to their individual business needs. The ClearOS operating system comes preloaded on the hard disk at no additional cost, offering HPE MicroServer users access to a built-in marketplace with over 100 applications. This allows them to customise a fully-functional server with point-and-click simplicity, while configuring right-sized applications to speed, simplify, secure and expand their IT capabilities. With the above in mind, Gen 10 products are ideal for resellers shifting to a service provider model. There’s also the Westcoast Ignite portal (www.ignite-westcoast.co.uk) where resellers can access all the information needed on specific products, gain access to the HPE Partner Ready Portal, take a look at the ‘How to sell’ videos mentioned above and find out everything there is to know about delivering a great HPE solution to clients. It’s a fantastic place to turn for any dealer serious about developing a service-led solution – and capitalising on the opportunities Westcoast and HPE are opening up together.